Shared web hosting will generally offer a certain amount of resources on a specified server. This server will be shared with many other customers and is therefore not considered to be the fastest or independently managed option for web hosting. That being said, shared web hosting does suit many people, but those with larger websites or online stores may want to look at other options. If your website could do with extra RAM when there’s a spike in visitors or web traffic, cloud server hosting could be a suitable choice for you. Cloud hosting is especially useful if you don’t want to wait for your resource upgrades to happen; this usually gets done instantly with most cloud web hosts. It’s my top overall web host, as well as my best cloud web host too. SiteGround’s cloud hosting is even faster than their shared web hosting (which I thought would be hard to beat). Their cloud hosting plans are customisable as well as scalable, alongside 24/7 VIP support. Although their cloud hosting plans are more expensive (understandably) than their shared plans, they are suitable for any kind of website. All of SiteGround’s cloud hosting plans are hosted with SSD disks for ultra fast speeds. If you find out that you need more or less resources along the way, you can literally add or remove these as you go (this can be done with the click of a button). Their cloud servers are all fully managed so you won’t have to worry about any back-end jobs. SiteGround’s cloud web hosting gives you the freedom to work on your website the way you want to, without the hassle. They also include free daily back-ups too, so if you make a mistake (yes it happens), you won’t need to fret. SiteGround’s cloud web hosting comes with 4 data center choices. This will ensure you choose the best location for your website’s needs. Oh, and did I mention you’ll get a free CDN included in all of that as well?! HostGator’s cloud web hosting is surprisingly uncomplicated. Their virtual servers are reliable and scalable and offer an affordable option for those looking to take their web hosting to the next level. Their Hatchling Cloud plan comes in at just $4.95 (£3.50) per month (I’m really not joking)! Customers on this plan will have support for one domain and can enjoy unmetered bandwidth and storage. Performance wise, the server will share up to two cores, 2GB RAM and includes a distributed Varnish local caching system. HostGator’s cloud web hosting boasts 2x faster load times than their shared web hosting. 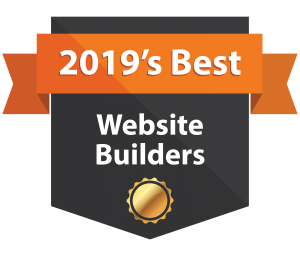 When I was using their cloud web hosting, I was able to move my site to alternative servers to gain the best possible performance for my website. This is also reassuring should there ever be any hardware issues. As with all cloud hosting options, scalability is key, and HostGator sure does offer this. If your website needs increase, you can scale your plan with 8 cores and 8GB RAM with the click of a button (nothing more to it). 1&1 IONOS provides powerful cloud hosting which can be configured within 55 seconds. Their flexible and scalable solutions use the latest cloud hosting technologies and start from as little as £10 per month. They do offer managed cloud solutions, but I tested out their self managed cloud hosting. You’ll get £100 credit included in each package (at the moment). 1&1 IONOS’s basic cloud web hosting includes 1 vCore CPU, Intel Xeon Processor, 1GB RAM and 50GB SSD. Whilst that may not be as competitive as other cloud hosting solutions, they do give you unlimited bandwidth, email accounts, SSL certificate, DDoS protection, and as I mentioned, the £100 credit. All plans include the option to choose Windows hosting or your own managed hosting. There’s plenty of technologies to get your teeth into, including Apache, PHP 7.2, MariaDB, WordPress, Joomla and Drupal. As with many cloud solutions, 1&1 IONOS’s flex package gives customers the flexibility to adjust the number of cores, amount of RAM, and storage as and when. Billing is based on a minute by minute basis, and goes up to a maximum of £15.84 per month. Although this may seem a little strange, it’s great for those who aren’t 100% sure on their usage, and it’s a great starting point in my opinion. American-based BlueHost is well known for it’s shared web hosting. However, they also provide high availability cloud servers with data mirroring. Any data you upload is replicated onto multiple locations. This gives it’s users a high level of protection as well as the prevention of data loss. A 12 month starter package starts from £8.43 per month and offers a wealth of features. You’ll get 2 CPU cores, 2GB RAM, resource scaling, 100GB storage, a free domain, and much more. Being one of the highest rated web hosts out there, BlueHost has a solid uptime as well as high speed servers and pretty awesome performance! It’s WordPress compatibility is extremely efficient and all plans include a free CloudFlare CDN. Just like their shared hosting, BlueHost offer a solid cloud web hosting platform that is a force to be reckoned with. Whether you’re a small time business owner, starting your first website, or battling with the big guns, I’m pretty confident their cloud plans will suit you. A2 Hosting has always had a big focus on you (their customers). When I signed up to their cloud hosting I was really overwhelmed with how helpful they were. They offer 24/7 live chat, telephone support, and a ticket support system. For those that aren’t keen on chatting to someone, their help center was very easy to use and held a lot of useful information. What’s more, if you don’t like their services (including cloud hosting), you can get a refund anytime and you’re not tied into a contract. A2 Hosting’s cloud hosting plans start at a very respectable £3.84 per month (very affordable in my opinion). You’ll get 20GB storage, 1 core, 512MB RAM, and full root access. Whilst their features aren’t quite as powerful as the likes of 1&1 IONOS, or other hosts, their service is very much a contender. You can also host unlimited websites with A2 Hosting which is something that other hosts don’t offer. My only real frustrations with A2 Hosting cloud hosting plans are that you don’t get a free SSL certificate and you have to pay for a domain. I suppose when you consider the price, it’s hard to complain, but it would’ve been nice to have these features (if I was being picky). InMotion Hosting is recommended for those who are perhaps just starting out their web journey. For customers who want scalable options so that more advanced features become available as their experience increases. If you’re looking to move to InMotion Hosting from another provider, you’ll be pleased to hear they offer site transfers with zero downtime which is very exciting! Their server performance and speeds are a real hit, and if you happen to live nearby one of their data centers, you’ll experience even faster speeds. InMotion’s cloud hosting starts from $29.19 per month and offers 4GB RAM, 75GB storage, 4TB bandwidth, and free SSL certificates. All in all, the specifications are very high for a starter package compare to other web hosts I’ve looked at. On the flip side, they are much more expensive too, so I wanted to see what features they had to offer. All of InMotion’s cloud web hosting plans include a resource monitoring dashboard so you can keep an eye on your usage and needs. All customers can enjoy snapshots, unlimited websites and domains, free SSDs, high availability, unlimited email accounts, and reseller access with WHM. When I contacted InMotion’s customer support, I was pleasantly welcomed with 24/7 telephone and live chat options. I found out that InMotion’s customer service was all in house (nothing was outsourced) and all of their staff were trained and held individual qualifications. If a world class support team is what you’re after with your cloud hosting, you’ll find it without a doubt at InMotion hosting. If you’re looking for high speed cloud web hosting, Hostinger boasts superior speed performance. With a 99.9% uptime guarantee and a 30-day money-back guarantee, it’s hard not to be tempted. Those who sign up to Hostinger for web hosting will be provided a free web designer (fancy stuff)! You’ll get a free domain name and will be able to edit your new site from the get go. Don’t be put off if you’re a beginner because Hostinger are incredibly user friendly and their control panel is easy to use. If security is one of your concerns, Hostinger provides daily backups of your site. If you’re like me and like experimenting (or end up making mistakes), it’s a great reassurance to know your hard work hasn’t gone to waste. Hostinger’s web hosting also includes BitNinja DDos protection. 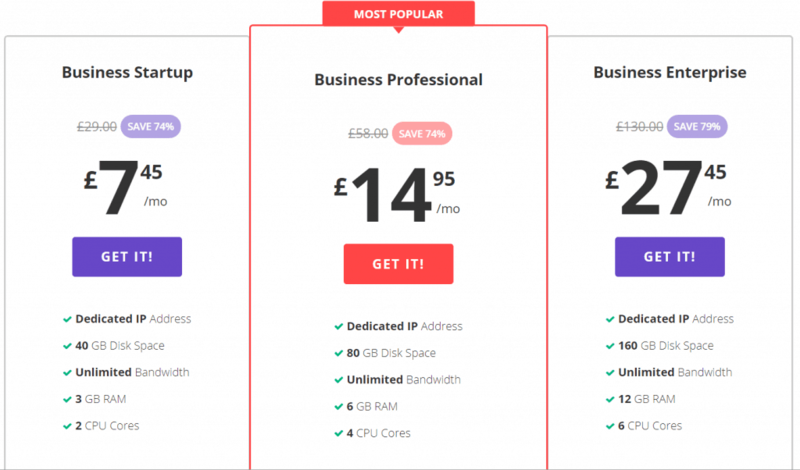 Starting from just £7.45 per month (what a bargain), cloud hosting includes a dedicated IP address, 40GB storage, unlimited bandwidth, 3GB RAM, and 2 cores. That all sounds great, but the issue I have with Hostinger is that their plans represent the price if you sign up for 48 months. If you just want a yearly plan, this almost doubles in price to £12.95. DreamHost is a brilliant choice if you’re looking for affordable cloud hosting. Along with it being on the cheaper side, they offer lots of features too, so you won’t feel like you’re missing out. Their basic plan won’t cost you more than $4.50 per month and includes 1vCPU, 512MB RAM, and 80GB SSD. However, I probably wouldn’t recommend this plan for larger websites. If you’re a beginner to cloud hosting and have a small site or blog and want to play around with the features, this is a good starting point. The frustrating thing I found with DreamHost was that their plans didn’t include a free domain, nor do they have a money-back guarantee. I don’t think you’d find much of a reason to cancel, and if you did, it won’t have cost you much, but these features are always a nice to have. All plans include unmetered bandwidth and a free SSL certificate, which does rival some of the more impressive cloud hosting plans we’ve already looked at. For me, DreamHost is a bit of a balancing act. If you’re happy to pay for one of their more expensive plans, you’ll be getting a better deal in the long run. DigitalOcean is slightly different to the other cloud web hosts I’ve looked at before. By now you’ve probably realise that with most cloud hosts you can scale your pricing plan to include more RAM, CPU cores etc. DigitalOcean’s scaling is known as ‘droplets’. Their standard plans start from around £3.55 per month and include 1 core, 1GB RAM, and 25GB storage. You’ll need to check out their website to see all of the options they have on offer as there’s a lot! Droplets can be optimised to increase your performance by adding more RAM and storage. Each droplets have lots of features, including website performance monitoring, snapshots, and site backups. Billing is based on an hourly basis with a maximum monthly cap so you’ll never go over your limit. If you’re just looking to host a simple WordPress website then this may not be recommended for you. I’d recommend DigitalOcean for those who are looking for a lot more from their host. Business’s will probably appreciate the features and performance power much more than your average user. Based in Malta, CloudWays focuses entirely on cloud web hosting. It’s cloud plans are similar in a way to dedicated servers in that you can scale up and down whenever you like. Resources can be increased or decreased dependent on your needs. One of CloudWays unique features is something called ‘auto-healing’. This feature scans your site in order to detect any issues that may cause pages to crash. I was quite surprised about this and learnt the feature will resolve any issues too (very cool)! All of CloudWay’s cloud hosting users get a free SSL certificate (just with the click of a button). Security is a big thing for CloudWay’s, all of their servers have powerful firewalls which are managed and updated by them. If you’re worried about backups, you’ll be pleased to know that this host backs up your site data on a weekly basis. Although this isn’t daily (which would’ve been much better), it’s still free which is better than nothing. CloudWay’s customer service is available 24/7 if you have any issues. If you’re looking for an affordable cloud web hosting service where you pay for what you use, I’d definitely recommend this host as a starting point. You won’t be locked into any long term contracts which is a real bonus.